Experience California's hidden gateway, The Red Roof Inn Arcata is surrounded by coastal mountains covered in majestic, world famous red wood forests and less than a mile from the beauty of the Pacific Ocean's coastline. 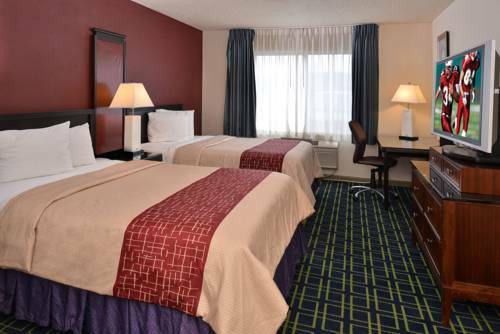 Red Roof Inn Arcata is located within 4 miles of the Arcata/Eureka Airport. Experience California's hidden gateway, The Red Roof Inn Arcata is surrounded by coastal mountains covered in majestic, world famous red wood forests and less than a mile from the beauty of the Pacific Ocean's coastline. Red Roof Inn Arcata is located within 4 miles of theArcata/Eureka Airport. Simultaneously classic and weird tourist fun -- a mini train ride and a gravity-defying mystery shack. Train ride and snack bar seasonal, return Memorial Day.